Easy Insta Profits, an online business opportunity, a mobile app, created by Mike Richards allowing people to make up to $1,300 a day with Instagram. If you haven’t see the Easy Insta Profits video, click here. Who is Mike Richards? And What is Easy Insta Profit? Two very good questions. You want to learn more about this new app to make money online. I know you don’t want to miss the opportunity of making $1,300 per day. But, you are not sure! Is this for real? Reading reviews and doing researches are the ways to protect yourself from online scams. When an investment that is too good to be true like Easy Insta Profit, then you must carefully evaluate the business opportunity before making an investment. Hi, This is TQ. Here’s my profile. I understand making money online is a lucrative opportunity. However, not every online business opportunity worth your time and investment. You need one real opportunity to create success. I found my success with affiliate marketing. This opportunity is easy and less expensive to start. 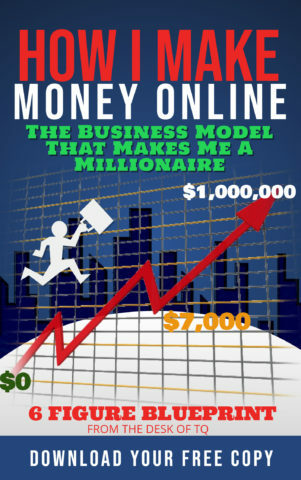 I have written a ‘Guide To Make Money Online‘ carefully outline the steps that I have taken to build a successful online business. You are welcome to download a free copy of this guide to learn more about affiliate marketing. This Easy Insta Profits Review is the answer to all your questions. I will be taken a step-by-step approach to analyze and investigate this program, so you can make an informed decision to invest time and money to make money online. How To Make Money With Easy Insta Profits? Easy Insta Profit A Scam or Real? 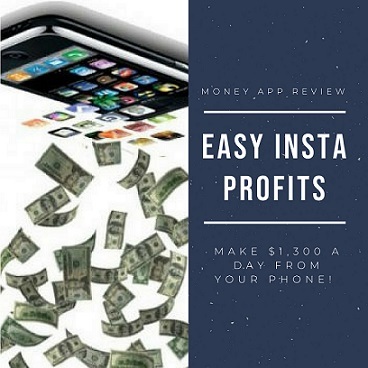 Easy Insta Profits is a mobile app that you can download and use to make easy money with your phone through Instagram. I assume the word “Insta” mean Instagram. This is a new and unique opportunity to generate online income with your cell phone. The creator, Mike Richards, claims that you can make as much as $1,300 using this app for only 20 minutes a day. This is an autopilot system which doesn’t require any works or special skills from you. Just download the app to your phone, and you can make money online immediately. WOW! Oh, sorry I forgot to mention that you have to pay $37 before you can download the app. If you are ready to try this out, click here. If you smart, continue reading this Easy Instant Profits Review to find out if the program worth investing $37. The owner of Easy INsta Profits is Mike Richards. According to his video, you can watch by click here, MR. Richard claims that he has over 10 years of affiliate marketing experiences, but struggled to make money online until he invented Easy Insta Profit about 18 months ago. Using Easy Insta Profits app, Mr. Richard has made over $750,000 in the last 18 months and continue to make up to $40,000 per month, every month. I have tried to contact Mr. Richard to verify his income claim and hoping to score a one-on-one interview with the new online millionaire for my Easy Insta Profits Review with zero luck. I got no response. Mr. Richard, if you are reading my review, please contact me, tq@onlinebzdog.com, because I want to include you in this Easy Insta Profits Review. If any of you know who this man, please share with my readers. THANK YOU SO MUCH. The Easy Insta Profits system is built on the 4 steps to make money online. #1 find a hot product, #2 takes a picture of the product with your mobile phone, #3 post the product’s picture on Instagram, #4 Make thousands of dollars from this Instagram post. The biggest selling point of this money app is building your Instagram followers. We all know, it is not easy to build a large number of followers on social media networks. However, Easy Insta Profits will take care of this for you. Upon signing up as a member, you have access to 13 tutorial videos walking you through the process of setting up an Instagram account which you will use to generate income online. The 13 lessons will cover all the basic affiliate marketing process and techniques. It teaches you the basic techniques of sharing high-quality and engaging images with relevant contents to connect with people and grow your Instagram followers. You will also learn how to properly use product placements and affiliate links to make money from your Instagram followers. These introductory affiliate marketing courses give you a clear overview of the steps to make money using Instagram. It might worth $37 to some people, but not for me. After watching these videos, I can tell you this: it will require more than 20 minutes a day to build up a following on Instagram, especially one large enough to generate $1,300 per day. My previous review of the steps affiliate marketing system, I have shown you the best way to make money on Instagram, but it requires hard works. Easy Insta Profits promise to do all the hard works for you, but the program only shows you how to do the basic step of Instagram affiliate marketing. It’s just another training program where you have to do all the heavy works. Yes, you can make money with Instagram affiliate marketing. But I have to disclose to you in this Easy Insta Profit Review that you have to work more than 20 minutes a day to make $40,00 per month. 20 minutes a day is not enough. Surprise, surprise! After paying the initial $37, You will be introduced to an advanced training level, which will help you make over a quarter of a million dollars a year. The cost for the premium account, drum roll please, $147. Hell No! I am not wasting $147 just to do this Easy Insta Profits Review. $37 is enough. There are many Free affiliate marketing programs online that better than this one. If you think the program worth $147, then buy Easy Insta Profits, then share with me your own honest review. I rather learn from you while enjoying a nice dinner at the Sushi Bar. I will lay out the facts, and you decide if Easy Insta Profit a scam or real. Let me say this, there are social media influencers and online affiliate marketers that make over $40,000 a month, but not by working only 20 minutes a day. Making a full-time income online is not quick an easy. It requires lots of work! Easy Insta Profits is quick money online making system. You can make $1,300 immediately upon downloading the app. Easy Insta Profits will do all the heavy works for you. You do not have to do anything. A lazy man’s way to riches. Mike Richards, we do not know who he is, from making $0 to making $750,000 in 18 months. Get-rich-quick overnight. Easy Insta Profits success testimonials are from online freelance actors, not actual customers. If you haven’t seen the video of Easy Insta Profits testimonials, click here. Easy Insta Profits teaches the 4 steps to make money on Instagram for $37, and then another $147 to go faster. Easy Insta Profits was launched on Monday, July 09, 2018, at 10 AM EST. Easy Insta Profits website is not secure. Click here to check this out. I always present to you the facts on every affiliate marketing program review, including this Easy Insta Profits Review – A Scam or Real. You should be able to make an informed business decision with these facts. My view is: “One Man Trash Is Another Man Treasure.” You should decide for yourself if Easy Insta Profits program worth the $37, not me. I know you are looking for ways to make money online hoping to quit your full-time job. You can make this dream come true, but you must do this the right way, not with the get-rich-quick program. Making money online the right way requires training and works to build up success. If you are willing to invest in the times, there are some good affiliate marketing programs online for you to join, not Easy Insta Profits. The #1 Affiliate Training Program is currently offered Free Membership Account to new members. I urge you to check out this free affiliate marketing programs before investing with Easy Insta Profits. It is a great way to find out if affiliate marketing is right for you. If you serious and want to learn the right way to make money online, I invite you to try my affiliate boot camp challenge for free. 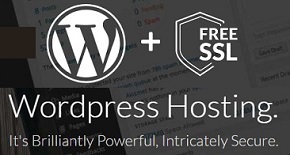 With this challenge, you get 10 free affiliate marketing lessons, 2 free websites to build your online business, and a free keyword tool searches for creating digital marketing contents. Heck, you can join Easy Insta Profits to try out affiliate marketing if you want. Mr. Richards offers a 60 days money back. If it doesn’t work out, you can ask for a full refund. I don’t know if you can get the full refund. I am still waiting for mine. You don’t have to do affiliate marketing to make money online. There are many ways to make money online. You can sell your own products or services. Many online entrepreneurs make millions selling products online with eCommerce platforms such as Shopify and Amazon. You can do the same. From my experiences, the best way to make money online is by learning and understanding the 4 fundamental steps of making money online. Easy Insta Profits is a business concept based on this principle. If you know the 4 steps to make money online, you will understand why Easy Insta Profits claims of working only 20 minutes a day are not true. This is my full and complete honest Easy Insta Profits Review. I hope this review helps you to make an informed business decision. Have you decided if Easy Insta Profits a scam or real? Leave me your thought.